Suspected Boko Haram insurgents yesterday's evening detonated bombs in the Kuje, Jikowyi, Maraba and Nyanya area of the Federal Capital Area of Abuja,killing several people. A security source confirmed two bombings with one detonated just behind Kuje police station. In a separate incident, another bomber detonated explosives at Nyanya area of Abuja. The total number of casualties from the multiple blasts could not be ascertained as of the time of filing this report.However,at least 13 people were killed in the blast at Kuje.See photos of the victims of bombing in Kuje area of Abuja above. 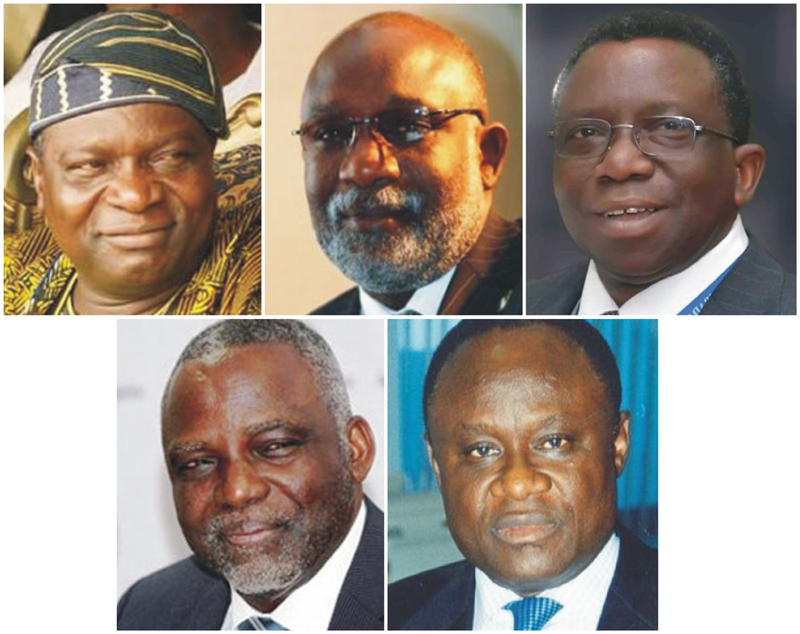 Okorocha’s in law, Barth Nnaji, Odimegwu alsoBarely three days after submitting the list of the first set of ministerial nominees, President Muhammadu Buhari is weighing options on the next batch of nominees.Last minutes of intense horse-trading and lobbying are ongoing in the affected states. There were strong indications yesterday that the Presidency is shopping for a new Group Managing Director for the Nigerian National Petroleum Corporation (NNPC) following the nomination of the present holder, Dr. Ibe Kachikwu as a Minister-designate. Operatives of the Economic and Financial Crimes Commission (EFCC) on Friday carried out a search of the Asokoro, Abuja, residence of Diezani Alison-Madueke as part of a multinational investigation of the former minister of petroleum resources. The former minister was arrested in London, UK, on Friday by the newly formed International Corruption Unit of the country’s National Crimes Agency. The agency announced on its website on Friday that it had arrested five people “across London” as part of an investigation into suspected bribery and money laundering offences but stopped short of naming the suspects. TheCable understands that the operations are being coordinated with several international agencies because of the “sensitive” nature of the investigation. EFCC made “significant recovery” of documents at the Abuja of the former minister, TheCable was informed by a senior security source. “The raid on her Asokoro residence today (Friday) yielded vital information that will help in the prosecution of the case,” the source said. Traders at Ladipo Main Market in Mushin, Lagos State, western Nigeria, were in shock and tears as bulldozer and a team of security personnel arrived the market on Thursday to demolish the market for reconstruction. As at 4.30 pm on Thursday shops had been brought down while the exercise continues on Friday. Traders were ordered to leave the market with their goods and when they attempted to resist, the bulldozer moved in and started the demolition. Some goods were destroyed as many of the traders were not in their shops because of the Independence Day celebration and public holiday. Traders and the Mushin Local government had been at loggerheads over plans to re-construct the market and turn it into a modern plaza. The traders, through their leaders alleged that they were not carried along before the plans to re-construct the market was carried out. They expressed concern over what happened to shop owners in other markets where such reconstruction was carried out and they never got back their shops after the reconstruction. It was because of that that they resisted the plan and went to a Lagos High Court to obtain an injunction to stop the demolition. 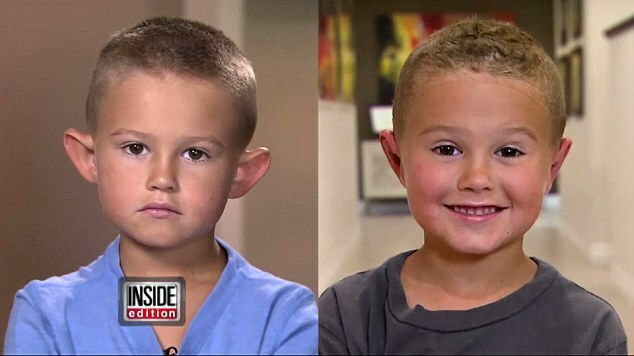 A six-year-old boy from Utah who was called 'elf ears' because his ears stuck out got plastic surgery this month to put the teasing to an end. They say, 'that I look like an elf and I have weird ears', first grader Gage Berger told Inside Edition on Monday. 'I just don't want to be made fun of,' he said with his eyes downcast. Gage's parents Tim and Kallie told Inside Edition they feared the bullying could lead to lasting psychological trauma and that their son would often hold his ears back in the mirror to see what he looked like. President Muhammadu Buhari’s 21 would-be ministers whose names he gave the Senate on Wednesday were unaware of their nominations, The Nation learnt yesterday. The President neither met nor hinted any of the nominees of their appointments, it was learnt. After shortlisting those he needed, according to a source, Buhari directed security agencies to conduct discreet investigations into their records. Those closer to him were not exempted, the source said. The Senate will on Wednesday decide the procedure for screening ministerial nominees submitted to it by President Muhammadu Buhari. The Senate Leader, Ali Ndume, who said this in an exclusive interview with one of our correspondents on Thursday in Abuja, assured Nigerians that the screening of ministerial nominees would not be delayed by the upper legislative chamber. Ndume said that the screening by the Senate would be thorough just as the nomination process adopted by the Presidency was. President Muhammadu Buhari has ordered the stoppage of special allowance for security personnel in the Presidential Villa. According to reports, all security personnel posted to the Villa were being paid what is known as Risk and Hazard Allowance. However, since his assumption of office, President Buhari was said to have refused to pay the money to them. Abuja, Nigeria. September 29th, 2015 – The yearly Independence Day Special Edition Poll results released by NOIPolls Limited have revealed that Nigerians consider ‘unity of the nation’ (20 percent) as the most important achievement of the nation since independence; alongside Telecommunications (15 percent) and Democracy (13 percent). These have remained consistent in the top three greatest achievements of Nigeria as perceived by Nigerians over the past three years. Moreover, security topped the list of the most important issues Nigeria as a nation should address in the next one year as reported by majority of Nigerians (22 percent each). Independence Anniversary expenditure for the past 5 years. Two married women reportedly fell down from a 3-storey building while fighting in Awada area of Onitsha, Anambra State. According to reports, the two women live together in a flat which their husbands shared at the compound, even though the warring duo were always at odds. Osinbajo And El-Rufai Clash APC NWC To Mediate - El-Rufai Made An Uncomplimentary Remark On Osinbajo Who Walked Out Of A Meeting Which Had Buhari In Attendance. The APC NWC is to look into the face-off between the Vice President Yemi Osinbajo and Kaduna State Governor Nasir El-Rufai, referred to in some quarters as the ‘unofficial Vice President’. El-Rufai was alleged to have made an uncomplimentary remark on Osinbajo, who protested and eventually walked out of a meeting, which had Buhari in attendance. This MFM Pastor Tunde Tolulope Ajayi recently battered his wife embattled wife Yemisi Abiose Ajayi and beat her to a pulp today at Casso area of Alagbado. 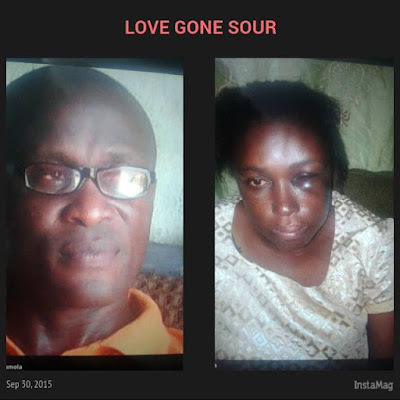 Photos of the battered lady and husband were shared on Facebook by Violence against Women activist Ify Onyegbule. Whenever an under-18 is in the car, smokers will still be liable even if the windows are down or sunroof open. But the law will not apply to people who are driving in a convertible which has the roof down. Nor does it apply to e-cigarettes. Before his death, Mamok was a very close ally to the union’s State Treasurer and Oshodi chapter chairman, Alhaji Musiliu Akinsanya, otherwise known as MC Oluomo. The assailants, 10 in number rode on motorcycles to Mosaku Street in Oshodi and shot Mamowora in the head several times. Barely 24 hours after the Chairman, Senate Committee on Business and Rules, Senator Babajide Omowarare (APC-Osun East), backed out of the vote of confidence given to the leadership of Senate President, Dr. Bukola Saraki, by 83 Senators, another Senator, Sabo Mohammed Nakudu representing Jigawa South-West Senatorial District, has also purportedly withdrawn the said endorsement. Photo credit: Drew, pictured, was monitored 24/7 during the study. Image used with permission via Drew Iwanicki. Would you take $18,000 (£11,700) to stay bed-ridden for 70 days straight? And we mean bed-ridden; you must remain horizontal at all times (yes, even when going to the toilet), enduring all the physical pain that involves. Well, last year, NASA paid about 50 volunteers to do just that, to learn how muscle and bone would deteriorate in such conditions. The research may be useful for lengthy space missions in the future, such as trips to Mars. 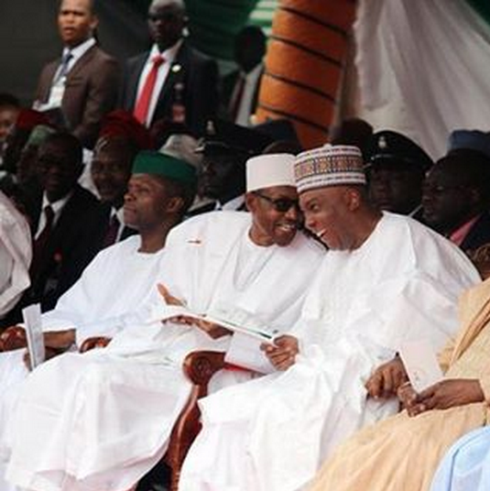 Senate President Dr. Bukola Saraki and some members of the Like Minds in the Senate have reached out to some emirs. They are trying to explore ways of resolving the crisis of confidence between the Senate President and the Presidency, The Nation has learnt. Some of them were said to be urging the emirs to prevail on the Federal Government to drop charges against Saraki, who is facing trial at the Code of Conduct Tribunal (CCT) for alleged false declaration of assets. On 11 september 2015, at least 118 people died and 394 were injured when a crane collapsed onto the mosque. religious significance. the importance of the mosque is. Find mecca latest news, videos & pictures on mecca and see latest updates, news, information from ndtv.com. explore more on mecca. Find accident latest news, videos & pictures on accident and see latest updates, news, information from ndtv.com. explore more on accident. Get the latest international news and events from asia, europe, the middle east, and more. see world news photos and videos at abcnews. Crane collapse, crane tips over, crane falls over, crane falls, crane tips, crane wrecks.